In a time when most teenagers are more concerned with being near a power outlet than a lake inlet, Lannea Allen is an inspiring exception with her passion for nature. Specifically Lannea loves birds. In the 5th grade someone gave her a book on birds that sparked a continued passion. She has carried her affinity for our native bird species into her teen years and a Girl Scout Gold Award Project. For her project Lannea had a desire to help cavity nesting birds that are experiencing a loss of habitat and potential population decline. 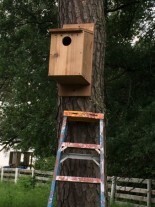 Urbanization and agriculture have claimed many of the large cavity nesting trees and old or open buildings that have served as nesting sites for certain bird species. There is no hard data that reflects declines in Barn Owl populations, largely due to their secretive, nocturnal nature. However, it’s widely believed their numbers have dropped due to both nesting habitat loss and rodent pesticide use. Barn Owls were widely impacted by DDT. Rodents such as rats, mice and voles continue to make up a large portion of their diet. Barn Owls will swallow them whole and later cough up owl pellets with the parts of the animal that are not digestible. If the rodent has recently eaten poison, that Barn Owl will be exposed to the amount eaten by their prey or may feed it to their young during nesting season. Evidence has shown that Barn Owls can recover in an area with few nesting sites when proper sized nesting boxes have been installed. 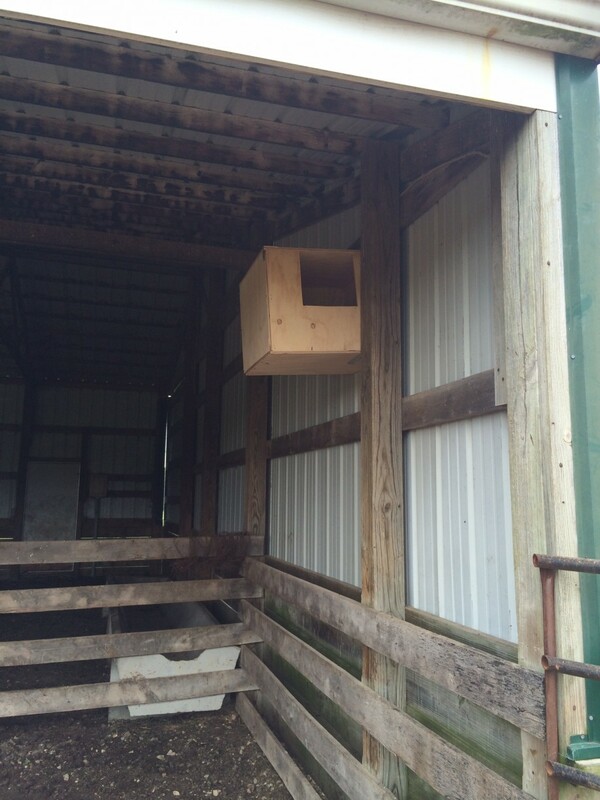 Boxes can be mounted on trees, poles, houses, out buildings and Barn Owls have even nested at Yankee Stadium. Thanks to Lannea, they have a little more habitat around Missouri and Kansas for nesting. Lannea Allen is a sophomore at Bishop Miege High School. She is an avid runner and birder. She has achieved the Presidential Service Award for 3 consecutive years and the Girl Scout Bronze and Silver Awards.